Some of the main points of the manifesto cover the defence of free speech, the elimination of corporate welfare and opposition to the named person scheme. 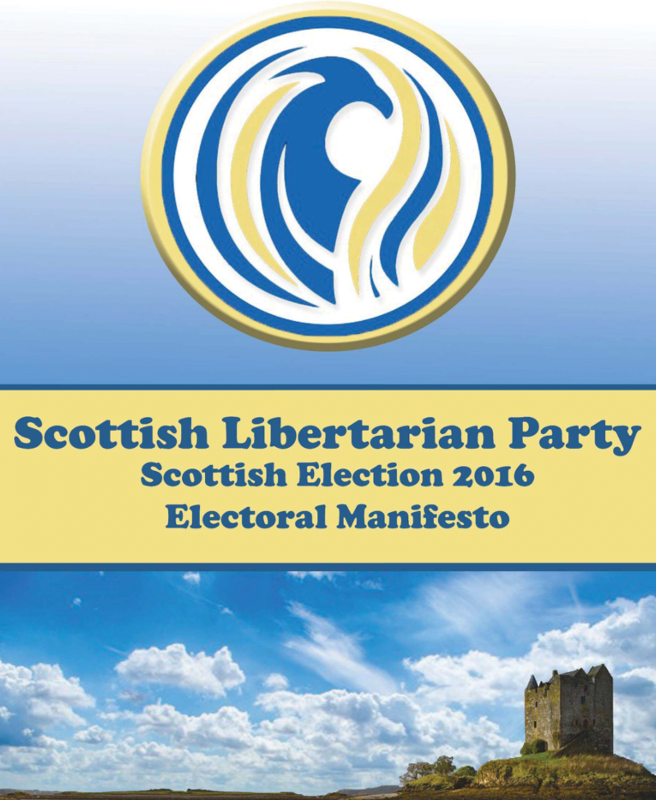 The Manifesto is available from the Scottish Libertarian Party’s website and a copy is attached for your reference to this Press Release. Please feel free to contact either of the named members above regarding any queries you may have about the Scottish Libertarian Party. More information follows regarding the party and candidates on the next page. The Scottish Libertarian Party is a new party in Scotland founded in 2014 on the Non-aggression principle – the idea that any person may do whatsoever they wish, so long as they do not initiate the use of force against another. We stand for Free Speech, Free Markets and the defence of Property rights and are opposed to state intervention, believing it to cause more harm than good to the functioning of voluntary exchange between individuals. The Scottish Libertarian Party is standing 4 candidates, 3 on the regional list, 1 in a constituency. Alan Findlay is the Leader of the Scottish Libertarian Party and is standing in the regional list for the West of Scotland. Hailing from Giffnock in East Renfrewshire, he now runs a property business in the United States and is a published author. Tam Laird is the deputy leader of the Scottish Libertarian Party and is standing in the Central Edinburgh Constituency. Originally from Lanarkshire, he has lived in Edinburgh for 11 years, 6 of which are in the constituency. He is a former soldier, proud father and author of a blog. Calum (or ‘Caz’) Paul is the Candidate for the Mid-Scotland and Fife Regional list. Calum is a business owner, having operated a games business in Kirkcaldy for a number of years now. Calum also writes a blog and is a passionate defender of free speech. Derek Scott is the Candidate for the North East of Scotland regional list. Originally hailing from Ellon and now located in Westhill, Derek works in the Oil and Gas industry and is dismayed by the approach numerous governments have taken to taxation of this industry, helping to speed its decline and cost people their livelihoods. 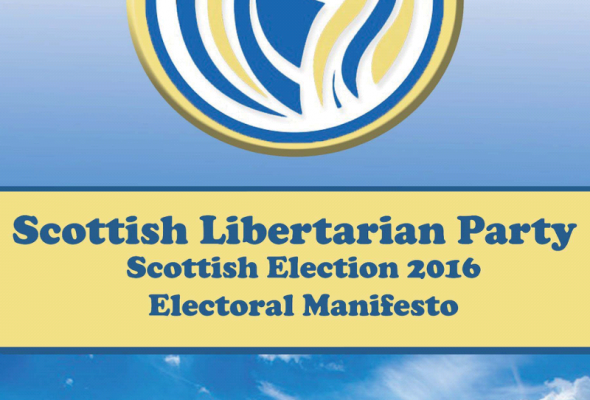 The Scottish Libertarian Party Manifesto is now freely available for downloading here.